The GDPR's first birthday is approaching, with hundreds of thousands of euros fined already. More and more businesses are starting their ISO 27001:2017 projects. And today, the Home Office admitted another data breach after accidentally sharing the personal data of hundreds of EU nationals seeking settled status in the UK. Cyber security is only getting more important for businesses of all sizes and sectors. Thankfully, there's plenty of helpful content online. We've put together the ten best cyber security blogs you can visit now. IT Security Guru provides a daily news breakdown of the latest stories in the cyber security world, pulling together content from various other blogs into a single location. Great for saving time with a single 'go to'. WeLiveSecurity is run by an international group of cyber experts, covering everything from anti-malware and -scam strategies to the latest social media security news. Dark Reading priorities news of major breaches and attacks and focuses on enterprise strategies for avoiding them, including risk management and compliance advice. Google often acts as the 'thought leader' for Internet security. And it isn't surprising, since it's the most visited site in the world. Although their blog is primarily introspective, focusing on the latest developments within the Google space, there's plenty of information and insight here which other businesses can take stock of and apply to their own operations. Exactly how it sounds. A comprehensive blog covering all aspects of IT governance, from applying ISO 27001 in the law sector to breach news story analysis and data resilience advice. Providing governance, risk and compliance software to some big names like BT, Honeywell and Sodexo has made us live and breathe cyber security - and our blog reader base grows by 120% every year. Visit us for free tools, templates and resources from ISO 27001 toolkits to GDPR training videos. Cyber security means decision-making. TechRepublic aims to simplify that process with a range of security-centric resources, including whitepapers and e-books. Malwarebytes revolves around the tactic of 'know your enemy', covering the latest criminal, hacking and malware threats that cyber security professionals should know about. 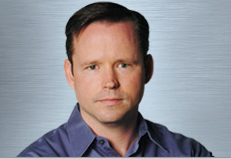 Brian Krebs was trying to set up a firewall in 2001 when a hacker group invaded his home network. Since then, he's blogged frequently about the cyber security world, with particular focus on crime investigation, 'cyber justice' and security updates. SC Media has covered cyber security news almost from the beginning. With frequent input from thought leaders, product reviews, and attack analyses, this is one you shouldn't miss. 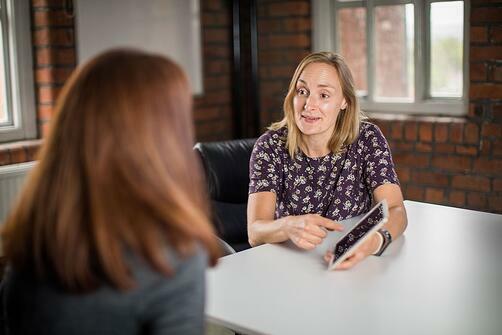 Over 2,000 professionals have helped us to put together a GDPR toolkit. Free templates, explainer videos and tips to help you be compliant.